Sitting on the corner of Sherman Street, it has an entire lot for a yard. A real rarity in the dense urban environment of Park Side. The basic shape is pretty common. A four square block with applied details and a slightly projecting tower bay. Some nice details in the gothic drop molding over the bay windows and the well defined frieze. 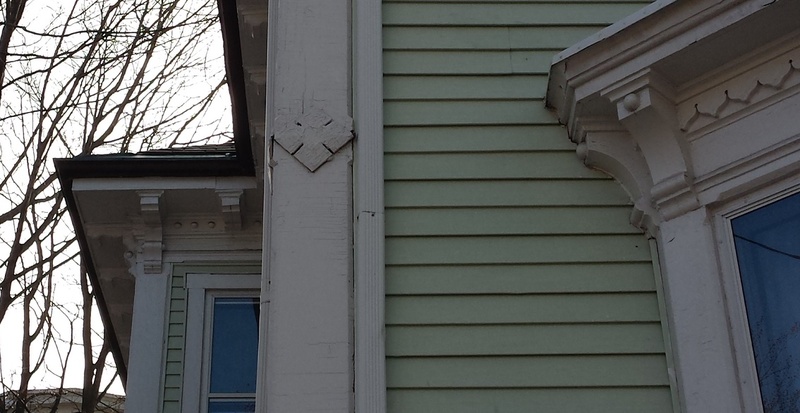 Probably built around 1880 but that is of little matter. The real charm of the house is the tower. Powerfully vertical and very well modulated, the tower is nicely detailed with the corner boards containing the mass and increasing the feeling of upward motion. The applied detail on the base and windows of the tower, while more Colonial Revival in form, acts as a cap to the upwards movement much like an astragal molding on a column. The roof has a relaxed curve to the mansard which is terminated at a comfortable height leaving a nicely scaled cap. Whomever designed this home had a real eye for proportion and scale. It makes me wonder if they were a professional. If so, what other buildings did they design. If not, what did they do for a living. The 1924 tax records show the owner was George HH Lawton. 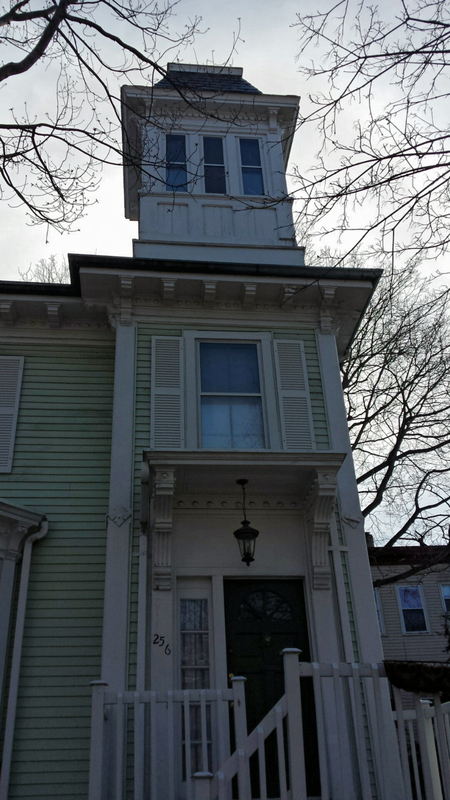 This entry was posted in Architecture, Glimpses, Parkside, Sherman Street, State Street and tagged Architecture, History, images, Maine, mansard roof, Portland, Second Empire, tower on April 20, 2016 by alewifecove.